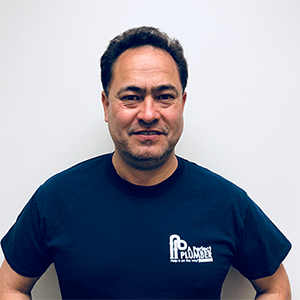 Jaime started his plumbing career over 23 years ago working on swimming pools. About a year ago Jaime recently joined A Perfect Plumber’s Apprenticeship program and enjoys adding more plumbing skills to his toolkit. When he is not hard at work you are likely to find Jamie chasing his three kiddos around. Did You Know... If a movie was made about his life it would feel a lot like Will Smith in the Pursuit of Happyness. He sets goals and fights to make them a reality.